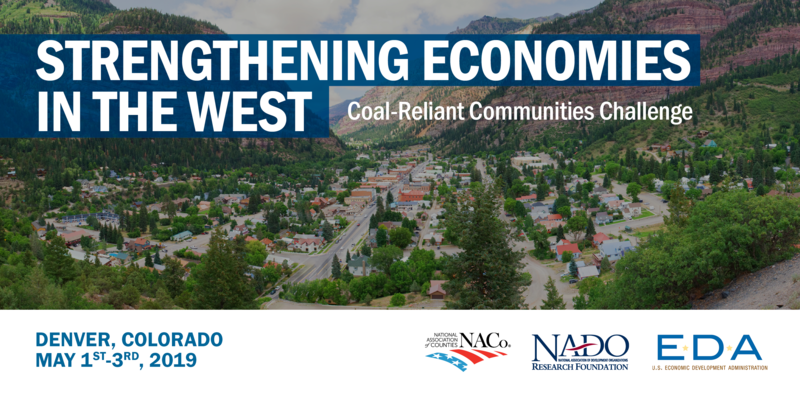 This event is funded through the support of the U.S. Economic Development Administration – Denver Regional Office, as part of NACo and NADO RF’s four-state initiative: Strengthening Economies in the West, which provides tailored economic diversification support and technical assistance for coal-reliant counties and regions in Colorado, Montana, Utah & Wyoming. Through this regional initiative, state-specific forums were held in Utah in October 2017, Montana in April 2018, Colorado in September 2018, and Wyoming in October 2018. This initiative kicked off in April of 2017 with an initial region-wide educational forum in Denver. Please contact Jack Morgan, NACo Program Manager, at jmorgan@naco.org for more information.